On Friday 3 March 1944, LM475, the aircraft that would become B for Baker, appears in Phil Smith’s logbook for the first time. Two flights are recorded on this day, and while on the face of it they appear perfectly normal – two sessions of High Level Bombing, one during the day and one by night – the entries would lead to much head-scratching on my part, some seven decades later. Lancaster LM475. Pilot: Self, Crew: W/Cdr Balmer, F/L McCarthy, Crew. HLB. Landed at Hunsdon. 2.05hrs Day. There are a few curiosities in this entry. Wing Commander Balmer was the 467 Squadron Commanding Officer. It appears most likely that the other passenger was Flight Lieutenant Patrick Ernest McCarthy, who was probably the 467 Squadron Bombing Leader at the time. It is unclear whether Phil’s ‘normal’ bomb aimer Jerry Parker came along or not as Phil had a habit of not recording full crew names for non-operational flights. The reason for the trip to Hunsdon (a nightfighter airfield 20 miles north of London, or some 100 miles from Waddington) is unknown. There is a possibility that this could have been a check flight for either Phil Smith or for the new aircraft, though I don’t know if Squadron Commanders carried out this sort of activity. More likely, perhaps, is that Balmer needed to get to London and so Phil took the opportunity to take his new aeroplane for a spin to get him there. Lancaster. Pilot S/Ldr Smith. Duty: Navigator. Remarks: Owethorpe – H.L.B. 1.25hrs Day. Owethorpe is most likely a spelling error – there was a practice bombing range at Owthorpe (without the ‘e’), just east of Nottingham, and this was probably the destination for the bombing exercise. The High Level Bombing part agrees with what is in Phil’s logbook, but there is an alarming inconsistency here: Phil records the flight as having been 40 minutes longer than Jack did. My initial theory was that Balmer went along first for a 40-minute check flight in the Waddington circuit with Phil Smith only, and then the remainder of the crew with F/L McCarthy joined them for a flight to Hunsdon via the practice range at Owthorpe. But I’m not sure that 1.25 hours is enough time to get from Waddington to Hunsdon via Owthorpe, particularly when the later flight to another range close to Nottingham took 1.30 hours on its own. Lancaster LM475. Pilot: Self. Crew: Crew, F/Lt McCarthy. HLB (5). 145yds bombing error. 1.30hrs Night with 0.45hrs Instrument. Lancaster. Pilot: S/Ldr Smith. Duty: Navigator. Remarks: Eppistone – HLB. 1.30hrs Night. No ops again today – instead we had 2 Bulls Eyes and plenty of Bombing Practice at night. With the moonlight conditions were ideal. So this second flight is fairly easy to explain. But it’s hard to think of a scenario which could explain a flight on which practice bombing was carried out at Owthorpe AND a landing made at Hunsdon, with the Squadron Commander AND the Bombing Leader along for the ride, on a trip on which the pilot logged 2.05 hours but the navigator logged just 1.25 hours. The simplest explanation would be that Jack Purcell made a mistake. If we assume this was the case, it would be quite reasonable to fly from Waddington to Hunsdon, either to drop off W/C Balmer or simply as an exercise on which Balmer came along to observe, via a few practice bombing runs at Owthorpe range, and then back to Waddington again inside 2.05 hours. Judging on other parts of his logbook Jack’s record keeping was never particularly fantastic so a mistake is a distinct possibility. It does not sit well with the fastidious nature of his job as a navigator though. There is insufficient information in the sources currently available to me to explain what might have happened in a definitive sense. The ORBs do not record non-operational flights in adequate detail and Phil did not write of this trip in his post-war manuscript so the only way of being sure would be to compare the logbooks of all those involved. But as far as I know out of the crew of B for Baker only Jack’s and Phil’s logbooks have survived, and they disagree with each other. This one will probably remain a mystery. 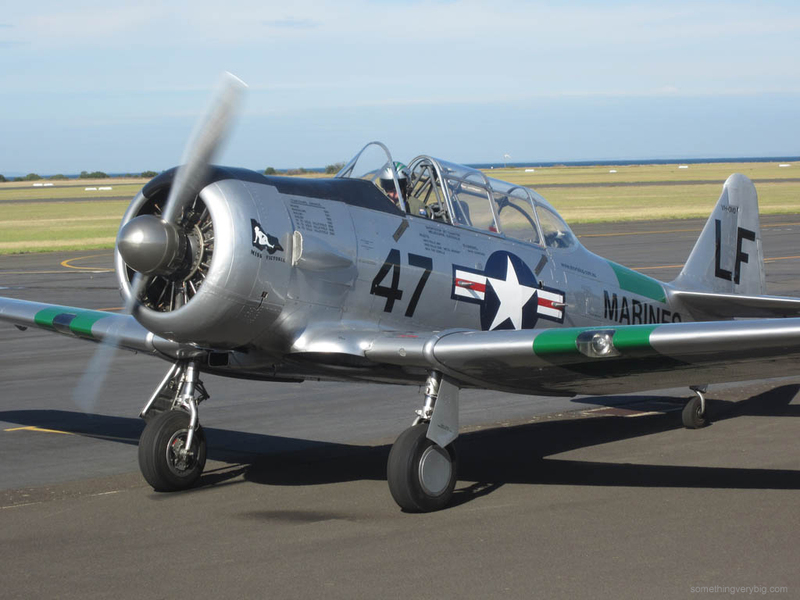 A little over twenty kilometres south west of Melbourne city, on the shores of Port Philip Bay, lies the birthplace of military aviation in Australia. RAAF Williams Base Point Cook is where land was purchased in 1912 for the newly-formed Australian Flying Corps, and where nine years later that fledgling organisation became the Royal Australian Air Force. In fact, until Richmond and Laverton were built in 1925 Point Cook remained the only military air base in Australia. Point Cook played an important role in training of pilots and officers and many other Air Force trades and disciplines over the next seventy or so years, and while military flight training ceased in 1992 the airfield remains operational with the Royal Melbourne Institute of Technology operating a flying school from it (though little military traffic uses it these days and the control tower has been empty for many years). It is, therefore, a fitting location for the RAAF Museum. 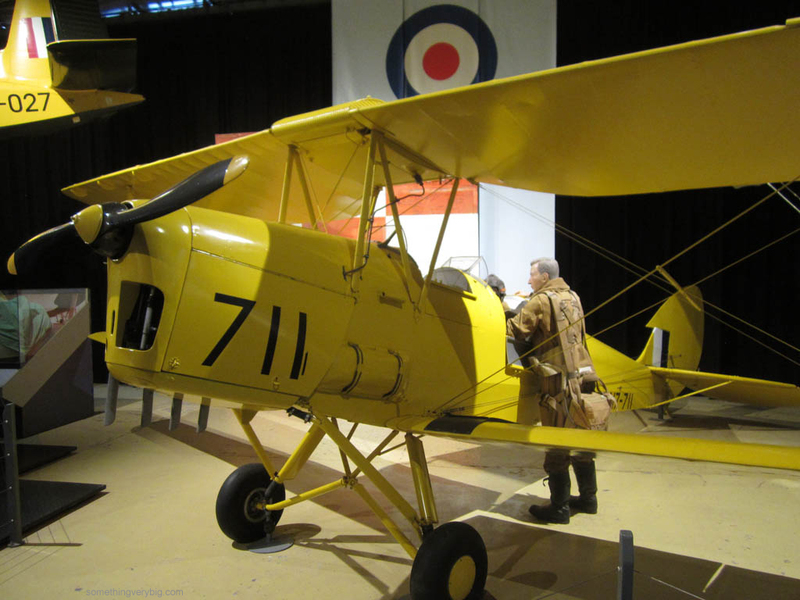 Housed in four Bellman hangars, the museum follows the story of Australia’s military aviation history – from the very first days of the Australian Flying Corps right through to current operations in the Middle East. There is a large collection of significant aircraft and artefacts and some intensive restoration work underway, including of a Mosquito which is the only known surviving airframe of that type with a WWII combat record. Other days it might be a Tiger Moth, or a CT-4, or perhaps a Mustang. And it’s all done free of charge. The Museum reckons it’s the only place in the world where these sorts of aircraft are displayed regularly like this. 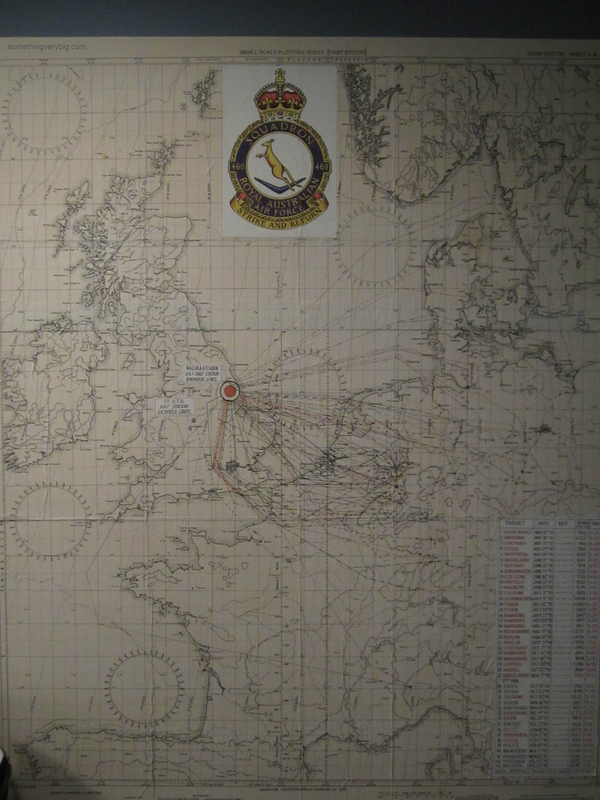 It’s a map of Europe, with the operations carried out by a 460 Squadron crew member marked on it. I couldn’t find a name to go along with it but in the bottom right corner is a list of all 43 operations along with dates. They span two tours, the first between 12 March – 03 November 1943 and the second from 24 October 1944 – 22 April 1945. Whoever the unknown crew member was, he was extraordinarily lucky. The particularly deadly Battle of Berlin period fell in the time that he was (presumably) instructing between his tours of operations. Point Cook is steeped in history. Suburbia is fast encroaching (its sister base, just up the road at Laverton, has already been sold off for housing) but for the moment it is still an active airfield. The Government has announced a planned redevelopment with an “ongoing commitment to maintain the base” as an operating military airfield and continuing to “recognise the significant heritage of the site” which is very encouraging. Much work appears to have been carried out already – there is an excellent (but very large – around 75mb) presentation of ‘before and after’ photos from the end of 2012 available here on the Defence website – but I found many buildings that still look unloved as I wandered around the Museum precinct. The difficulty is the trade-off between maintaining the base as an active RAAF station and retaining the heritage fabric of the physical environment. Remaining an active military base gives Point Cook an economic reason for continued existence and makes it more likely that future governments will continue to consider it a useful part of the Air Force’s infrastructure. But with that comes the security and access restrictions that the modern military demands, which seriously reduces easy access for the public. Opening the base to the public as a heritage site will necessarily reduce its utility as a pure military facility, and Defence will naturally be reluctant to take the required funding from its already stretched budget. At the very least, though, the recent work will see the most significant physical parts of Point Cook’s heritage survive for some decades to come. Primary records are the foundation of any good history. And there’s nothing quite like going directly to the source to find them. I travelled to Canberra last month to plough through files at the National Archives of Australia and, as it turned out, also at the Australian War Memorial. The National Archives are housed in a squat white building located behind Old Parliament House. While most files are stored off-site, the building houses offices, exhibition spaces and, in the back, the Reading Room where researchers can access original documents. I had previously ordered a number of files and they were waiting there for me when I arrived. This visit was primarily looking for general 467 and 463 Squadrons stuff, and I wasn’t disappointed. Among other things, I found an internal signal to the Squadrons, explaining what went wrong during the disastrous Mailly-le-Camp raid on 3 May 1944, and the original order detailing the special training sortie to be carried out prior to the Marignane trip of 9 March 1944. I know that the crew of B for Baker were involved in both operations so these documents add considerable detail to the story. Another file allowed me to solve the mystery of why Jack Purcell waited until the middle of February to do his first operation, despite having arrived on the squadron in early January: he spent a week and a half in the Station Sick Quarters in the latter part of January and missed the Berlin trip (28 January) on which most of the rest of his crew made their operational debuts. Some other files that I’m interested in, with intriguing titles like “Flight Planning Conferences”, “5 Group Tactical Summaries” and “Ideas and Inventions”, are marked “not yet examined” – offering the tantalising prospect of looking at files that no-one has ever seen before at the Archives – but these were not yet ready in time for this visit. Guess I’m coming back another time. There are a few other files listed on the NAA database under a search for “467 Squadron” that are part of a series called ‘AWM64’. As it turned out these are actually held at the Australian War Memorial Research Centre. Conveniently, after spending most of the morning shuffling and photographing old papers at the Archives, this was to be my next stop. As part of plans for the Centenary of ANZAC commemorations, the War Memorial is undergoing significant refurbishment works at the moment. Consequently the usual entrance to the Research Centre is unavailable and you need to be escorted through ‘back of house’ to access it. That minor inconvenience aside, the staff are exceedingly helpful and the collection, of course, is world-class. I was able to examine an original navigation log and chart for an operation to Konigsberg in August 1944 (the overwhelming impression is that navigators worked like cut snakes, with fixes every six minutes), a number of logbooks (including one for a navigator who completed a tour on Lancasters, then another one on Mosquitos and after the war flew extensively for Qantas Empire Airways) and diaries and, eventually, the relevant AWM64 files. Included among these are large-size notebooks which appear to be the Orderly Room’s master list of sorties carried out by each member of aircrew. They are incomplete and contain frequent blank pages but it was interesting to see evidence that French targets only counted for a ‘third’ of a raid up until Mailly-le-Camp. The crew of B for Baker were not among the names on the pages but others who occasionally flew with Phil Smith are there. I’m not sure that the full records have survived but even so, this could be a valuable resource for deciphering some of the more badly faded pages of the Operational Record Books. A certain amount of ‘pot-luck’ is needed when ordering records at libraries and archives – sometimes the entries in the catalogues are less than descriptive – but that’s all part of the fun. Many times the files are not entirely relevant to the task at hand but, every so often, you find something unexpected in amongst the files. It was a useful couple of days work.